Control your audio feed using the Audio button at the top of your Control Panel or Grab Tab, which will glow green when you are unmuted and others can hear you. 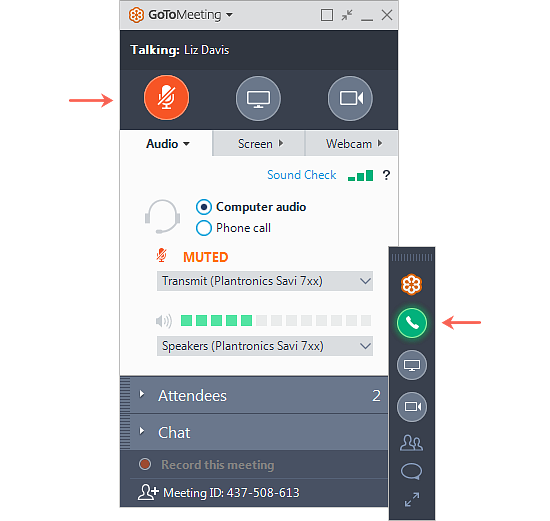 You'll see a Mic icon for Computer audio, or a Phone icon for phone call audio. 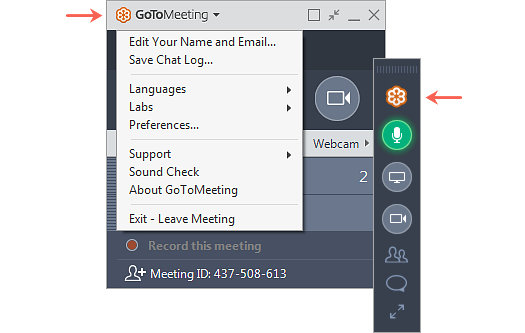 Click the Options icon in your Webcam pane. Sometimes it's easier to focus if your webcams are on a separate screen! 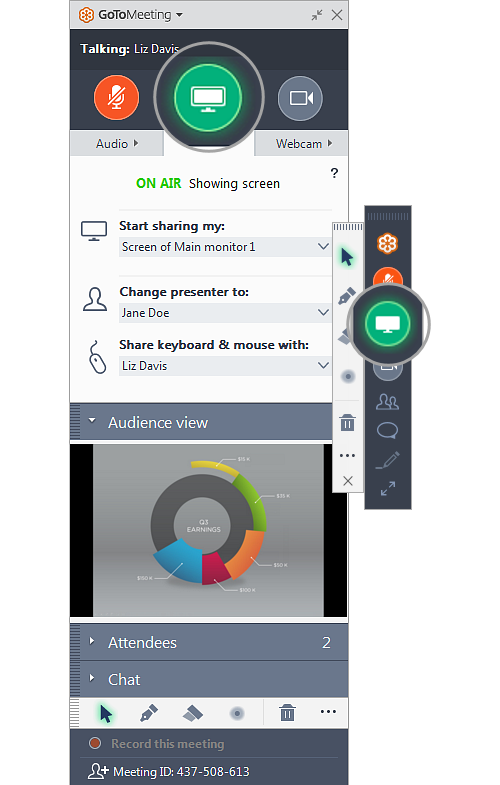 You can undock the webcams from your Viewer window and move them independently around your screen by clicking the Options icon in your Webcam pane and selecting Undock webcams. Drawing tools can help you illustrate your point - and when everyone joins in on the fun, collaboration gets a big boost. Click the Options icon at the far-right of the Drawing Tools pane, and turn the Attendees can draw option to "On". Why don't I see the Drawing Tools pane? For some Windows users, the Drawing Tools pane is hidden by default (this happens when your monitor display settings are not optimal for drawing tools). 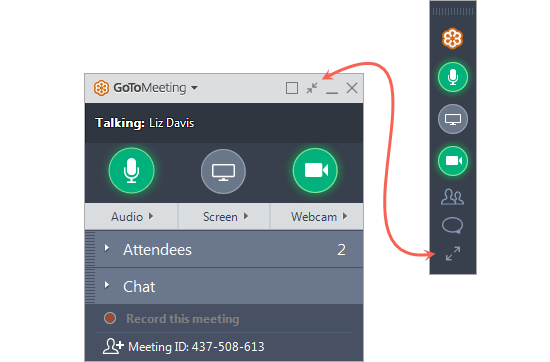 To show the pane, click GoToMeeting at the top of the Control Panel and select Drawing Tools > Open. Then click Yes when prompted. 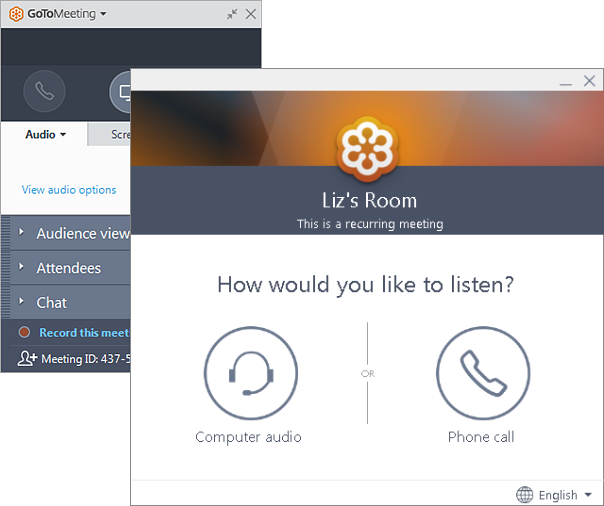 You can save a .RTF file of the transcript by clicking GoToMeeting in the top menu, then selecting Save Chat Log. When prompted, select a place on your computer to save the file and click Save. You can rearrange the order in which the various panes appear in the Control Panel, and even split out one or more of them to be moved about your screen separately - just drag and drop the panes where you want them. 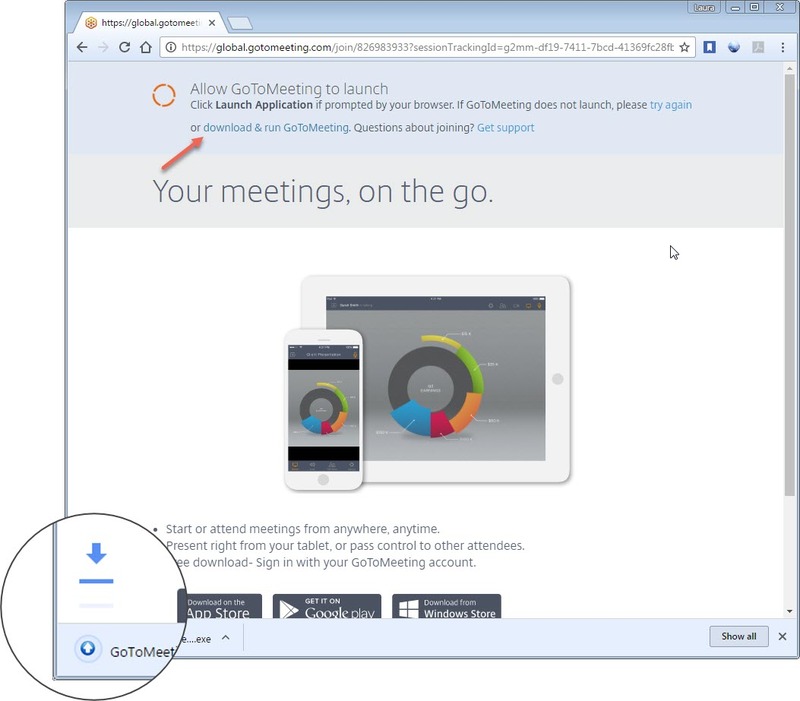 The Viewer is the application window that shows you the presenter's shared screen. 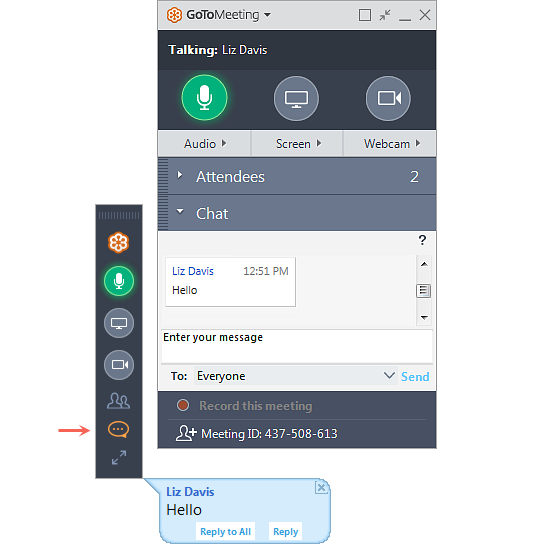 You'll also notice that it includes multiple tools in the upper toolbar, including webcam controls, the ability to rearrange its location and a Camera icon that allows you to take a screenshot of the currently shared screen. 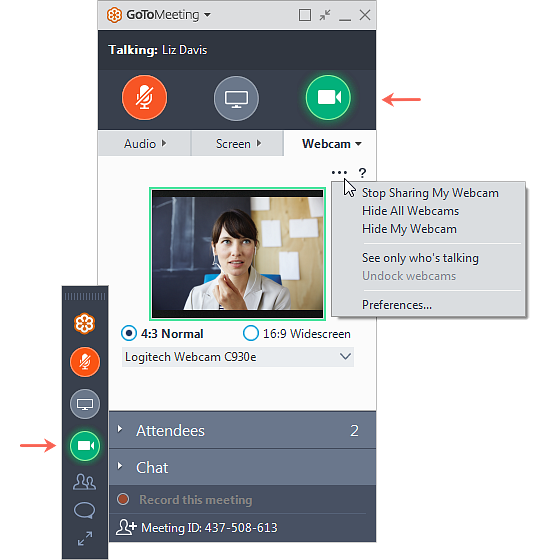 Sometimes it can be helpful to split out shared webcams from the main Viewer window so you can focus on the parts you want most. 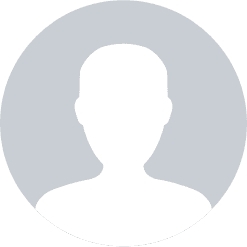 Select Undock webcams in the Webcams menu of the Viewer or Webcam pane. If you're a Mac attendee, see our Mac Guide.